Why, it’s Sherry of course! PLEASE read on! For most people the word Sherry conjures up images of sticky brown liquids dragged reluctantly from the same bottle in Great Aunt Mildred’s drinks cabinet, Christmas after Christmas (with a possible funereal exception) and forced to be sipped even more reluctantly by people who subsequently look exceptionally grave, even if they hadn’t before. This is, of course, an abomination. I would wager that almost all people who claim to hate Sherry are basing it on the experience of tasting from a tired old bottle which has been open to the air, dust, flying insects, and an atmosphere that smells faintly but distinctively of lavender and old lady’s wee, for year upon year. Of course, you’d hate the finest of cheeses, cakes, chocolate, truffle or anything else, had they been subjected to such treatment. Understandably, even the people who vaguely liked the stuff grew to regard it with disdain and a sense of anachronism. Sales fell away. However, the generation of Great Aunt Mildreds is gradually making its exit, and now is the time to think again! The word Sherry is a corruption of the Spanish Jerez, which is in itself a corruption of the Moorish word Xerez. All three are featured on the seal of the local authority (“Consejo Regulador”). Maybe they’d be better off using one of the other words, but fashions can and do change, and Sherry’s renaissance is well overdue. 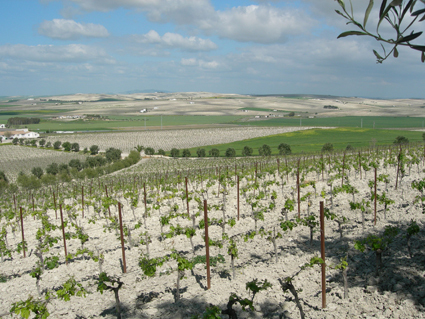 Sherry, although laden with heritage, is first and foremost, a wine, and needs to be treated as such. Serve chilled (almost invariably although it is a matter of taste) from a fresh, recently opened bottle. 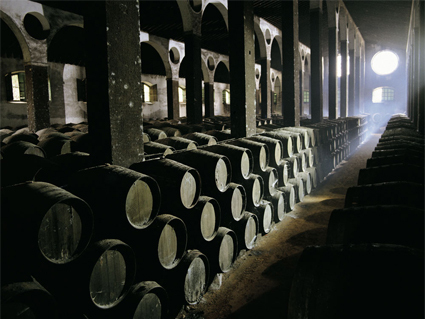 Sherry is a fortified wine, with extra alcohol added, but many are no stronger than normal table wines. 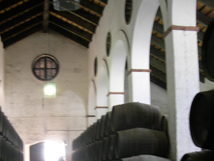 All Sherry is made dry*, some Sherries are subsequently sweetened, right at the end of the process. This is generally to serve the export markets (principally the UK and USA). In Spain itself, and especially in Andalucia where Sherry comes from, pretty much all the Sherry sold is dry, and a lot of it is Fino. 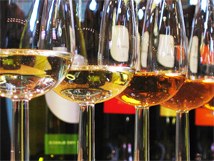 These are light, elegant, crisp, pale wines. They can be served from an open bottle (kept in the fridge) for up to a week, but no longer than this. They have the same alcohol level as most wines from Australia or other sunny places (15%). 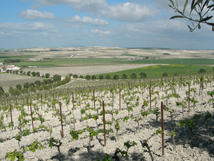 The flavours are not of the fruit – the grape that makes Sherry, Palomino, is fairly insipid in its own right – but of the process. For Fino Sherries, this is involves a layer of yeast (called ‘flor’) that grows on the wine’s surface, protects it from oxidation, feeds on the glycerol in the wine (thus lowering the calorie content!) and flavours it with a gentle character of almond skin, apple peel and chamomile. In fact, the word Manzanilla, which indicates a Fino from the coast, is from the Spanish for chamomile. The wines are very pale and bone dry, and there is, simply, no better wine to accompany saltiness in food, from olives to bocerones, and from wonderful glistening jamón ibérico to octopus salad. Andalucia was where tapas first originated in fact. 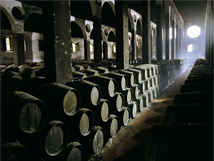 Other Sherries, such as Amontillado and Oloroso, are fortified to an alcoholic strength that prevents the flor growing, and also eliminates the risk of bacterial spoilage (vinegar mainly), and so the wines are aged open to the air, which oxidizes them and allows them to develop nutty flavours to accompany their range of tawny to nut-brown hues. These are the Sherries that may subsequently be sweetened (with a dried grape raisin wine called Pedro Ximenez, which is also Sherry*, and occasionally sold separately), but are nevertheless at their most sublime when left dry. No wine is a better accompaniment for soup than Sherry (the whole liquid with liquid thing is very difficult to match) from a Fino with gazpacho to a deep Oloroso with a rich onion or oxtail stew-like soup, this is one of the world’s greatest food and wine matches. Sherries that have the extra fortification and are already oxidized can be left in an open bottle for a few weeks, but will go stale after that, so that bottle of Something-Cream that your granny pulls from the cupboard every year needs to be consigned to a detested pot-plant as soon as you possibly can. Apart from (and maybe including) the pot-plant, everyone’s a winner in that scenario.